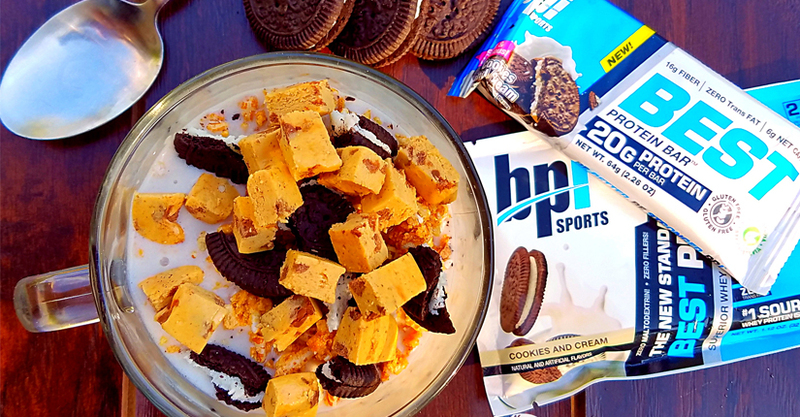 BPI Sports’ newest protein supplement, the Best Protein Bar™, is so delicious you’ll want to eat it as many ways as possible! 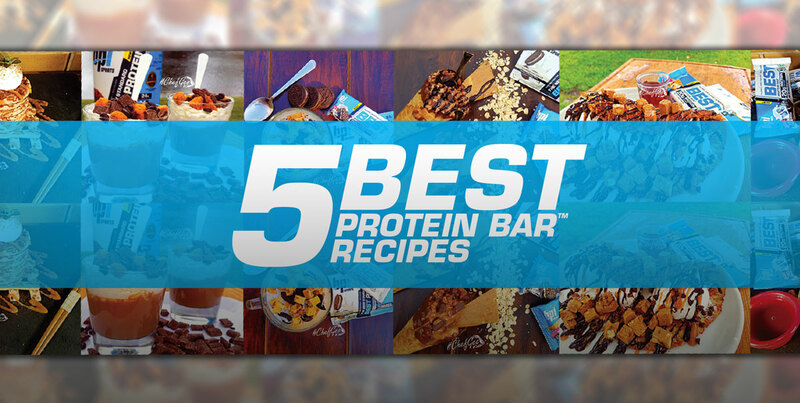 We’ve put together a list of five Best Protein Bar™ recipes for when the cravings strike. These creative treats range from protein-filled pancakes to pudding and more. And the best part? They’re guilt free! 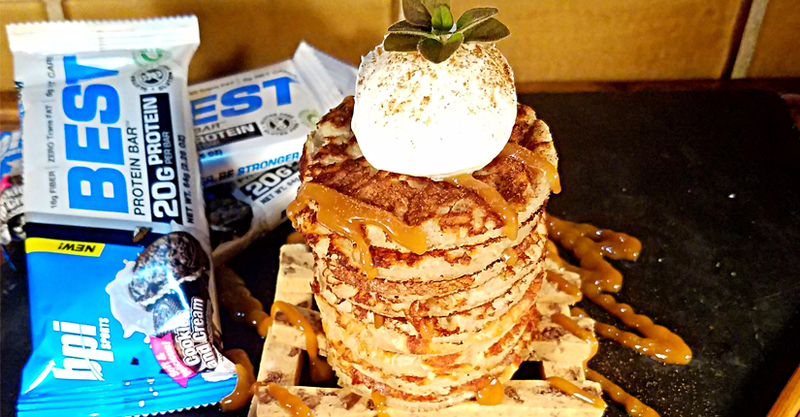 The Best Protein Bar™ is filled with quality proteins including whey protein isolate, milk protein isolate and whey powder, taking healthy recipes to the next level. Blend the protein pancake mix, the Best Protein™ powder, the cinnamon and water until the consistency is liquid-like. The mixture shouldn’t be too thick or it won’t fold. It shouldn’t be too thin or it will break in half. Next, in a pan over medium heat, pour ¼ cup of the pancake mix in the center of the pan let it spread out naturally. Do not swirl the pan around. Cook for one minute until it bubbles, then flip and cook for one more minute. Place the cooked pancake on your plate and add 3 scoops of Cool Whip to one side of it. Don’t place it in the center of the pancake. Drizzle some chocolate and caramel sauce, then fold the pancake like you would an omelet. 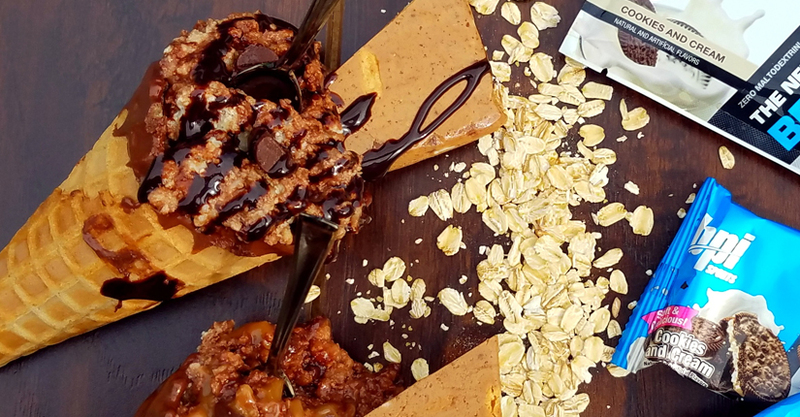 Drizzle some more sauce over the pancake and top it all off with the cubed S’mores flavored Best Protein Bar™. Mix the protein powder, almond milk and stevia in a blender. Pour over cereal. Top off with the cubed Best Protein Bar™. Blend the protein powder, yogurt, cashew milk, espresso and stevia until smooth. Place in the refrigerator until it stiffens (about an hour). 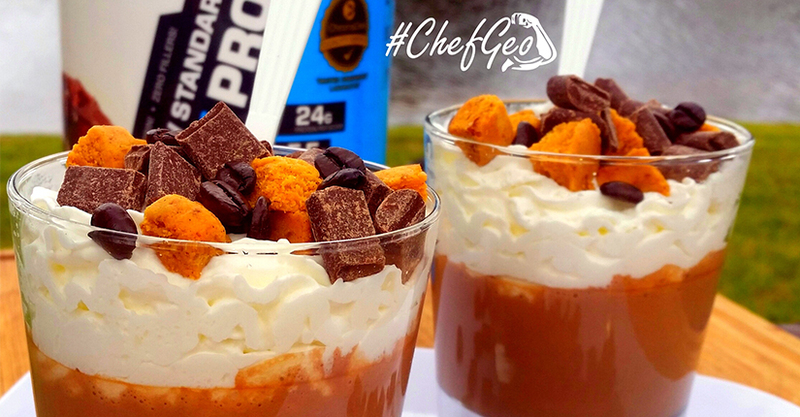 Pour into a glass, top with whipped cream, protein bar, coffee beans and chocolate chunks. To make the protein oats, just mix the first four ingredients in a crock pot. Cook until there’s very little water. It must be thick enough to stay on a cone. Next, dip the cone’s rim into the melted chocolate and let it harden. 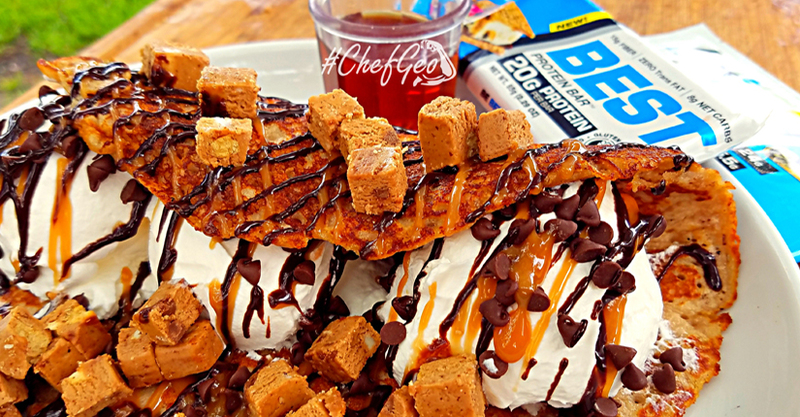 Scoop some of the cooked protein oats into the waffle cone and drizzle the chocolate and caramel sauce over it. Last but not least, add the cubed chocolate and top it all off with the protein bar. Mix the first five ingredients. If the mixture is too thick, add more water to thin it out. Next, heat pan to medium heat and spray with coconut oil. Then it’s time to make the silver dollars. Drop a small amount of mixture to make the mini pancakes, about 2 inches in width. Repeat this process to make all of the silver dollar pancakes. Next, place the protein bar strips so that they form a hatch pattern. Stack the silver dollars on top and add a scoop of Cool Whip. Finally, mix the caramel and pancake syrup and pour over stack.